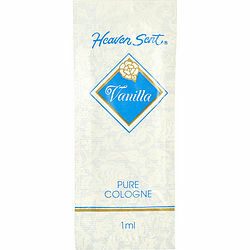 Heaven Sent Vanilla from Dana has been a favorite of women ever since 1941 when it first hit the market. Generations of discerning fragrance consumers have enjoyed this perennial classic thanks to its top notes of sweet vanilla that add a special, feminine touch to its basic green floral scent. You will love wearing this subtle fragrance with casual outfits when you just want to relax after a long and successful day pursuing your career or personal goals.